The book file you uploaded is in a format we do not support, or it has a filename extension we do not recognize. Your file appears to be a "application/zip" file, and has a ".epub" filename extension. Rest assured that there is nothing wrong with your EPUB if you are a customer of ours, as every EPUB passes the IDPF’s rigorous validation standards. Uploading your EPUB via Google Chrome seems to mitigate this error at Smashwords for some, but not all, clients. We have contacted Smashwords about this SNAFU and hope that they get the problem corrected ASAP. So if you would like to stop the madness, you may want to check out Draft2Digital, which has a similar business concept: aggregate your eBooks to the major vendors like Amazon, iTunes, Kobo, and Nook for a small royalty fee (15%). This scrappy new competitor may help improve eBook standards for the indie publishing community. Uploading your manuscript to the newly established website, Draft2Digital seems like a perfect solution for DIY eBook conversion. Thanks to Joanna’s tutorial how to use Calibre on TeleRead, automatic conversion has gained momentum in the business when indie authors are striving to publish as cost-effectively as possible. Although we have already discussed automatic conversion before (it’s not very good quality), many of our clients have urged us to try out the closed beta test on D2D. Fortunately, an email from Draft2Digital sent yesterday notified us of the open beta of which anybody can test the service without getting the beta code. We wasted no time this morning to get our hands on their hotly anticipated conversion service. Our initial doubt prevails: how much can you trust the fast quality of artificial intelligence, especially when it comes to formulating the immortality of your eBook? Setting up a new account is pretty fast and fluid as well as adding a new book. The clean interface is pretty straightforward as long as you follow the blue question marks. The question marks themselves provide additional information about each required field to make sure that you will leave no blank field empty. 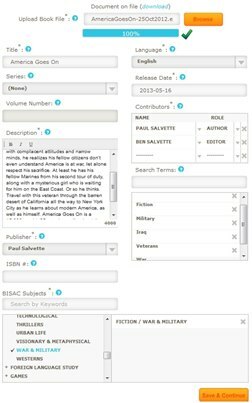 For those serialized eBooks authors, you can also add series and specify which book of the series you are uploading. BISAC Subjects are basically genres that you can choose up to five (Amazon allows two BISAC subject codes). Perhaps, you might want to down to ‘Fiction’ to better suit your identity more appropriately. The subgenres are aplenty and thus require your close attention to best describe your book’s category. For example, through Fiction, you can choose Fantasy as your main genre and further decide ’Contemporary’, ‘Epic’, ’General’, ‘Urban Life’, etc. for your subgenres. Last but not least, pick 15 different phrases or keywords to boost SEO. Adding a book cover is pretty flexible with multiple graphic formats support. The recommended resolution is good to meet all vendor requirements (1600x2400px JPEG recommended). Paul uploads his novel and novella to test out submission process. Before we started messing with the automatic conversion from a Word document, we uploaded our own EPUB we made at BB eBooks of one of Paul’s books. Luckily, when you upload your EPUB Draft2Digital, will not make any alterations to it. There are a few differences between how the EPUB eReading systems like Nook, Kobo, and iTunes will render your EPUBs, but a one-size-fits-all solution is usually acceptable for works of fiction. However, this is not the case for the 900 lb. gorilla (aka Amazon). Unfortunately, Draft2Digital does not allow you to upload a MOBI eBook specifically for Amazon. Rather, they have a process whereby the MOBI is “magically” converted from the source EPUB. This leaves unsatisfactory results, because the MOBI file now contains a dead link to the cover which is not supposed to be listed in the Table of Contents for MOBI eBooks. Additionally, there are very distinct styling considerations for MOBI/KF8 eBooks that do not convert directly from EPUB to MOBI/KF8. Since we were not quite happy with MOBI production, we can only recommend at this stage that uploading your books to all stores might not be a good idea. You can upload your EPUB to the EPUB stores (Nook, Kobo, and iTunes), but we would recommend publishing a MOBI/KF8 eBook to Amazon separately via KDP. 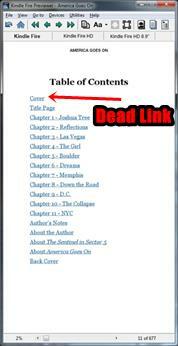 With a dead cover link in your eBook, Amazon may flag or reject your book. We decided to publish Paul’s EPUB file solely to iBookstore since it was not modified. Although, Paul should probably brush up on his writing skills before marketing his book. On a plus note, the book upload process at Draft2Digital takes less than 5 minutes. Not bad! As indicated below, Paul’s eBook is in good hands now that it will be readily published on iBookstore within weeks. As soon as your eBook is published, you can closely monitor the sales progress through the My Sales page. According to the latest email, customized payment methods have been very convenient for international authors who can receive payment directly into their bank accounts or via PayPal. 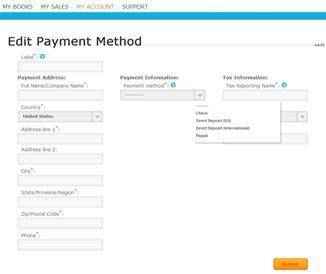 Look under ‘Payment’ in the Draft2Digital FAQ, authors can sign a big relief to be paid by check, PayPal, or Direct Deposit. Please note for non-’Merican authors you will need to get an ITIN so that the IRS can tax you. Up to this point, things seem almost rosy for the emerging website that authors can opt to convert their manuscripts to proper eBook formats themselves. Had .doc or .docx conversion been omitted, this blog would have left a gaping hole among those who favor Microsoft Office software. Since .doc and .docx are the majority of source files that our valued clients usually send to us. 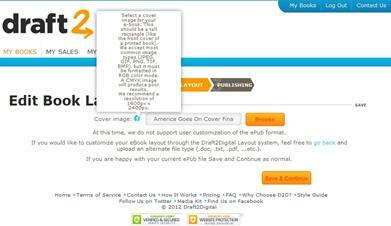 We felt obliged trying out a .docx format to convert into EPUB, MOBI, and PDF for CreateSpace POD. Can you spot any noticeable differences? Additionally, bold letters seem to come out of nowhere and mangle the original font setting. Also, there are no hyphens, yet they use justified margins: a poor design decision for print interiors. This conversion is unacceptable to be submitted to Createspace for publishing as a POD and thus requires a lot of fixing to be done. A few positive notes though: you get proper gutter margin settings in the PDF and Draft2Digital uses the Garamond font face (a nice font for fiction, particularly romance). All in all, we applaud what the team of Draft2Digital is offering. The automatic conversion process is a complex technical undertaking and we respect them for giving it the old college try (it will most likely improve in the weeks to come). We also believe they are working very hard to launch the beta test to cater to indie authors’ needs. It seems they take author’s concerns seriously in terms of payment options so that authors will always benefit from their creation as fast as possible. Draft2Digital takes 15% of net royalties, which is not a bad value proposition seeing how it can be somewhere between a major pain in the rear to impossible to get into Nook and iTunes. Automatic conversions programs on the market have never been that great (Calibre, Meatgrinder, and even the big guys like Amazon and Nook). Making an eBook interior requires a human element to the actual coding, which is why we are still in business. Additionally, we were experimenting with a simple novel, but if you wanted to try a complex non-fiction with tables, footnotes, and an index—fugghedaboutit. Although, if you are an author on a major shoe string who does not want to learn how to code and needs to get a book to market ASAP, it may be worth trying out their automated conversion rather than contracting someone like us to do a professional EPUB/MOBI conversion. However, Smashwords already offers the same thing with their Meatgrinder. We would not recommend getting onto Amazon through Draft2Digital at this time to our clients, since KDP is easy to navigate and the MOBI option at Draft2Digital has some minor issues. 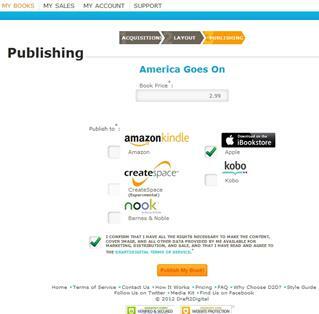 However, the EPUB shipment to iTunes, Nook, and Kobo would be a good deal, especially for authors who are not American. 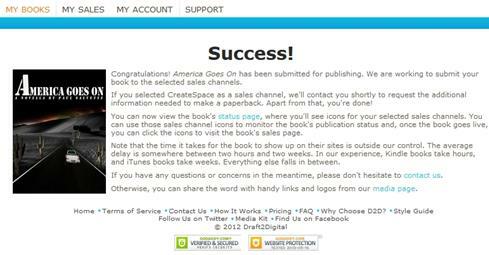 We can give you an EPUB of your eBook for Draft2Digital that will work great on all three of those platforms. It is undeniable that some work needs to be done to fix all the formatting oddities that occur after the conversion process. We, at BB eBooks, welcome any of your feedback if you are using D2D or any other automatic conversion software to submit your eBook to retailers.